While the world celebrates World Migratory Bird Day this weekend, BirdLife Australia’s Threatened Species Committee has released grim news confirming that seven of Australia’s migratory shorebird species are on a trajectory to extinction. Australian’s love the battlers, and small-time heroes. These little birds seem insignificant, but they are amazing travellers, facing all the torrents of winds, seas, currents but face increasingly hostile and dwindling safe landings. “Once common species like Eastern Curlew and Curlew Sandpiper are now Critically Endangered with Bar-tailed Godwit, Red Knot and Great Knot not far behind”, says Samantha vine, Birdlife Australia’s Head of Conservation. 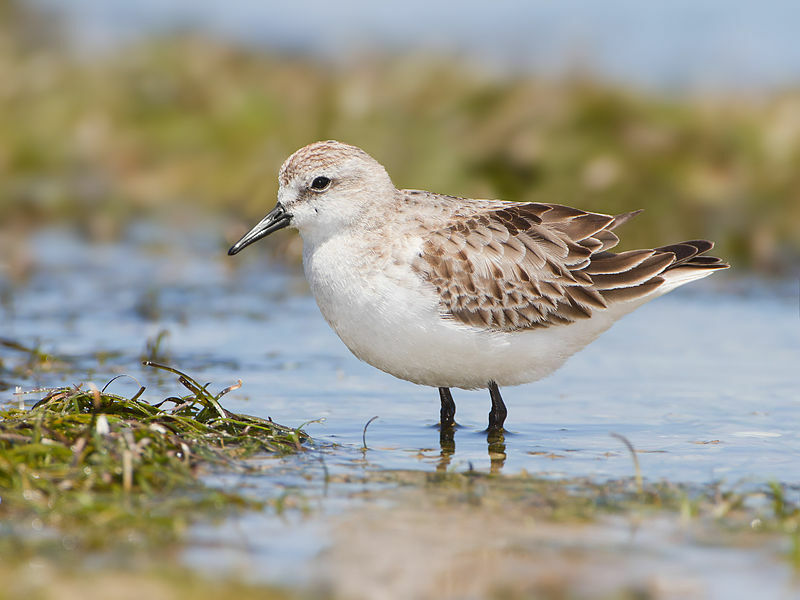 In 30 years these birds could be gone forever, and perhaps most alarming is the fact that the once numerous and widespread Red-necked Stint has moved onto the Near Threatened list. Modern Australia, the land of mammal extinctions, is now repeating their “success” with migratory birds! “This miraculous bird, (Red-necked Stint) no bigger than a sparrow, is capable of flying more than 20,000 km each year. But like other migratory shorebirds, it needs Australia, China, Korea and other Asian nations to work together to protect the rich mudflats that fuel its migration,” continued Ms Vine. If they don’t have a safe stop-over point for rest and food, they die of starvation! An ambitious strategy to engage our international partners in the protection of habitat important to the survival of our shorebirds. Wetland habitat loss and degradation is a significant threat to migratory waterbirds, and the conservation of important sites both within Australia and along their migration routes is essential to their survival. Many pressures are contributing to this degradation, of which population growth and associated coastal development are of particular concern. Housing has become a major industry in Australia. As a result, important habitat is being lost to port developments, housing and industry in Australia each year. But it will also put a spotlight on communities taking action to protect the wetlands and shorebirds they love.